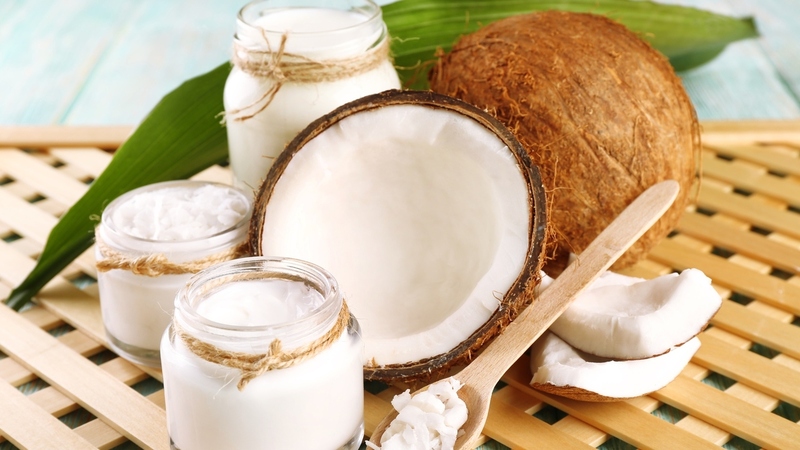 Coconut oil is one of the most popular natural vegetable oils used in cosmetology. We can find it in almost every bathroom and in many cosmetics (especially those for hair care). It is often used in kitchen and during beauty treatments, but despite of that we know very little about it. 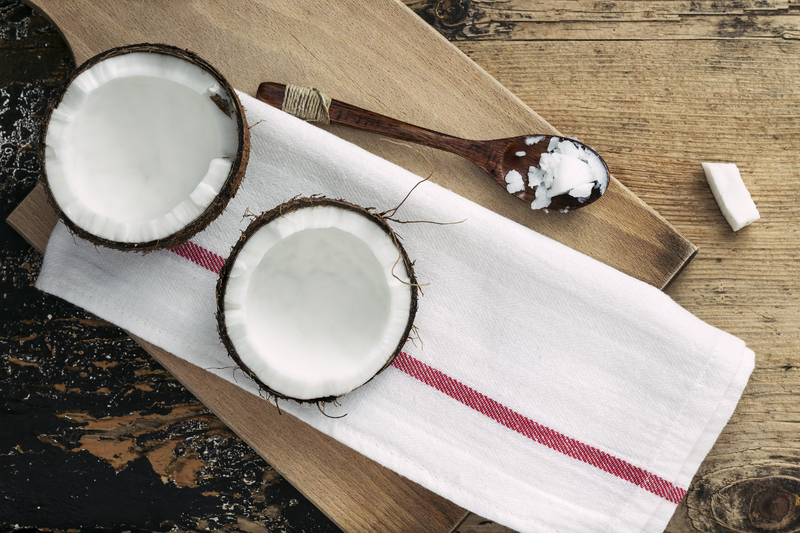 Today, we will dispel the most popular myths circling around coconut oil for hair. [MYTH 1] It consists of saturated fatty acids, so it increases cholesterol level. Firstly, we have to divide cholesterol for good and bad. Good cholesterol is necessary for right functioning of organism and regulates level of bad cholesterol. Coconut oil increases level of good cholesterol, and it was never proven that it has any influence on increase of bad cholesterol. 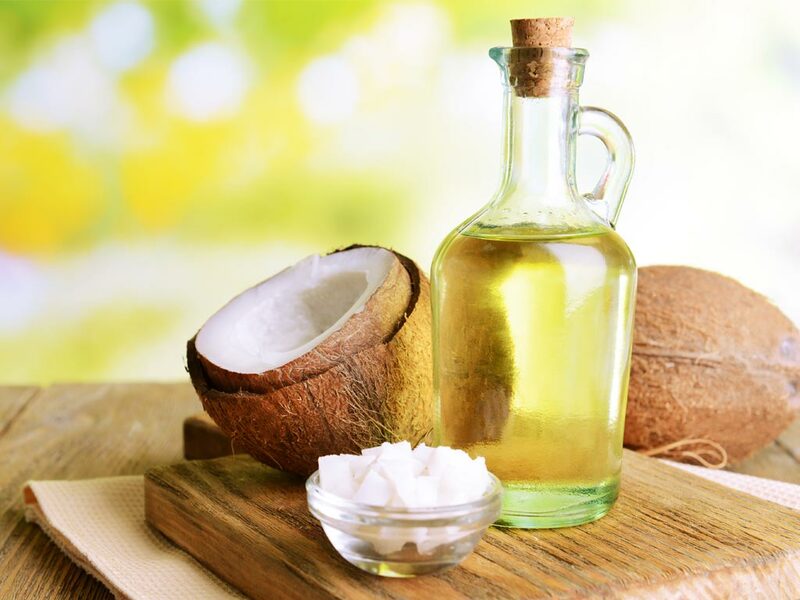 [MYTH 2] Saturated fatty acids in coconut oil cause obesity. Another myth related to presence of saturated fatty acids is the one that says about fat storage of fat from coconut oil in an organism. Coconut oil in no way causes obesity, on the contrary, it supports metabolism, so it increases effectiveness of burning fat. 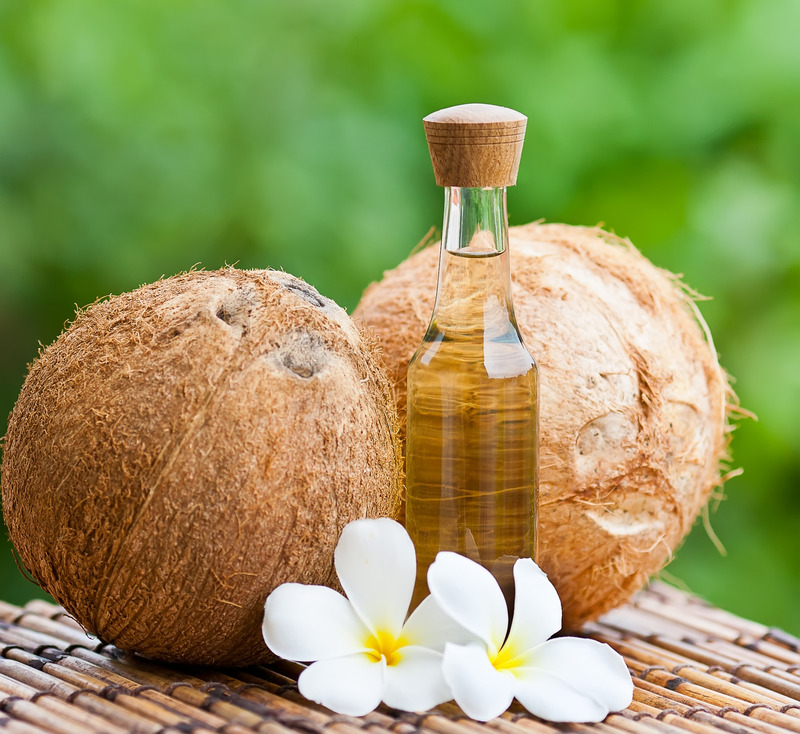 [MYTH 3] Coconut oil can cause irritations. Coconut oil does not cause skin irritations - you can even say that it works the other way round. It is one of the most gentle oils for skin care. This myth could evolve from the fact that unrefined coconut oil sometimes causes irritations due to presence of impurity in it, that is why refined coconut oil is more recommended for skin care. 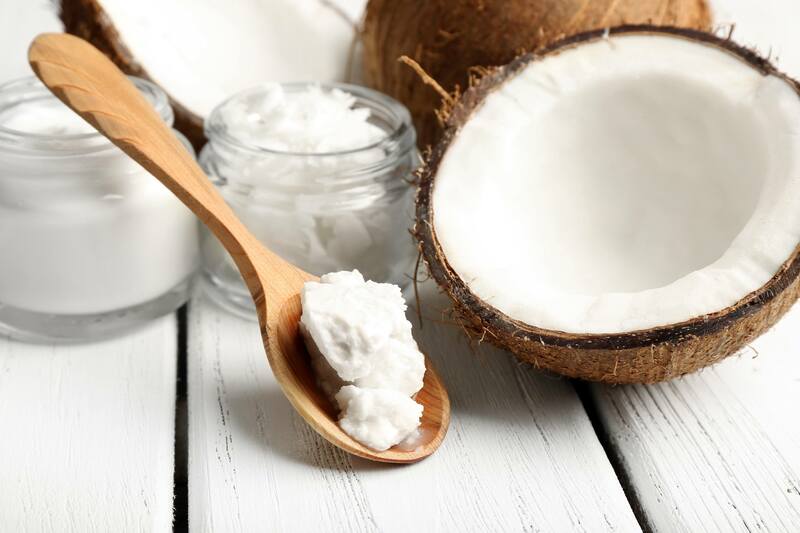 [MYTH 4] Coconut oil is sweet so it is not suitable for diabetic. It has been adopted that coconut oil has sweet taste, which is not true. Coconut oil is a fat without glucose, so it hasn't got even slightly sweet taste. This myth could evolve from the fact that we associate coconut with sweet desiccated coconut and coconut desserts. It is worth to underline that coconut oil supports the insulin secretion and reduces the risk of diabetes. [MYTH 5] Because of its thick consistency coconut oil absorbs much harder. Use of highly concentrated coconut oil, which was kept in the fridge, can truly cause problems. Coconut oil kept in a room temperature or slightly heated administers perfectly and absorbs fast at contact with skin and doesn't leave greasy layer. [MYTH 6] Coconut oil very fast looses its properties. Although, coconut oil is a natural vegetable product, it also belongs to the group of the most stable oils. Its greatest quality is durability. Even if coconut oil is a bit more moist, it preserves its properties for years. Why is it worth to buy coconut oil for hair? Coconut oil is undeniably rich source of necessary fatty acids (98%), valuable vitamins (B, B2, B3, B6, C, E), folic acid and minerals (potassium, calcium, iron, zinc, magnesium, phosphorus). No wonder, that we are so willing to reach for it in the kitchen, but also during everyday beauty rituals, like oil treatment. Don’t be fooled, that is Where to Buy Coconut Oil? 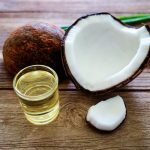 Dispelling of popular myths on Coconut Oil Copyright © 2019.